Get ready to start gardening! Are you itching to get out and garden? 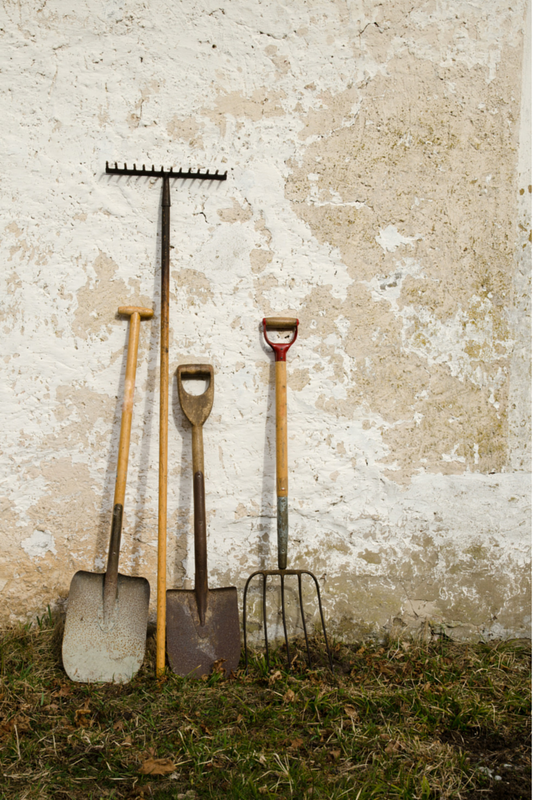 Well, it’s not quite time yet but if you want to do something garden-related, try grooming your garden tools and organizing your gardening shed. Grab some Arkansas sharpening stone and sharpen your pruners and shears. When you’re finished, lightly oil them with penetrating oil to prevent corrosion. Use an 8-inch long mill file with a strong, comfortable handle to sharpen your spades, trowels and hoes. It’s easiest if you use a vise but holding it securely on a flat surface will work too. Make sure it’s at a 30 degree angle and file (away from your body) across the beveled surface of the blade. Be sure to remove any burrs on the other side, using the file. Apply a light coat of penetrating oil and wipe with a clean rag to prevent corrosion. Add a pegboard! With the appropriate hooks, you can hang all your garden tools so they are off the floor and don’t keep getting knocked over. Use a large hook with a steep angle to hold your garden hose and keep it from tangling and unraveling. Install a sturdy tool holder on the inside of your shed/garage door for long handled tools. Keeps them accessible while leaving free space on the walls for shelves. Use magnetic bars to store your metal tools such as shears and trowels. Be sure the magnet is strong enough to hold the weight of your tools. Use bushel baskets for potting soil and mulch. Assemble a basket of frequently used tools so you can just grab and go when you’re ready to garden. Hang a calendar so you can keep track of when you planted seeds, fertilized, etc. Use one of those half-whiteboard/half-corkboard ones. Wiping off the whiteboard is easy and you can pin seed packets or other things on the cork board. This entry was posted in Gardening, Landscaping and tagged garden, gardening, spring. Bookmark the permalink.